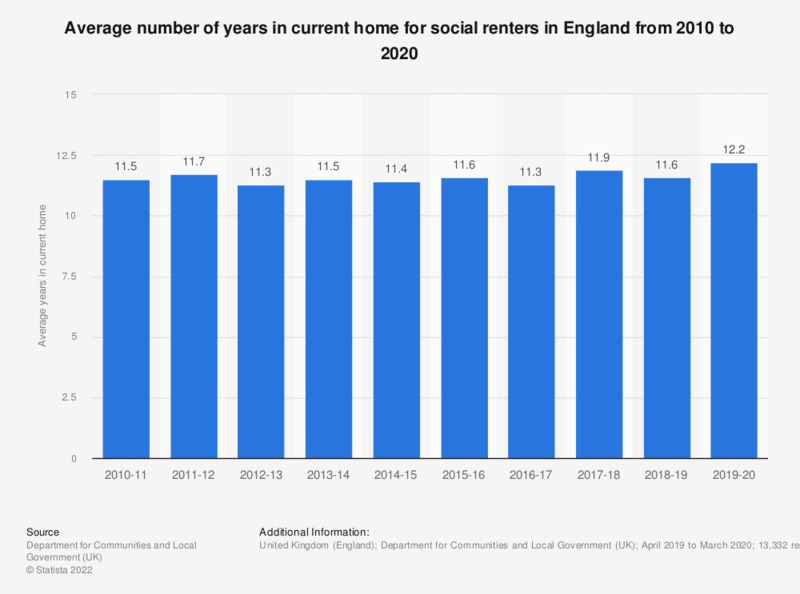 This statistic displays the average number of years lived in a current social rental home in England from 2010/2011 to 2017/2018. Throughout this time period the average number of years in a social rental home stayed fairly consistent. As of 2017/2018 the average number of years amounted to 11.9 in England. Sample size 2016/17 = 12,970.